The past two weeks have already taught me a lot. I’ve learned about how I’m able to work, what kind of mom I want to be, and I have some more ideas about my life as a Work at Home Mom. I also have come to appreciate just how good a baby I have – of course Harley has her moments, but for the most part she’s a very chilled baby. So, here’s what I’ve figured out thus far. The biggest thing I’ve realized and continue to grapple with is that I have to cut myself some slack. I have to value that kind of mother I already am – I give Harley so much of my attention and my love, even if it doesn’t feel like that in the moment. She isn’t neglected – I always hold her when she cries, change her when she’s dirty and feed her when she’s hungry. At this young age, she doesn’t need much more than to be held and loved, that’s already so important and helpful for her. No, I’m not playing with her or talking to her while I work, but that’s OKAY. In fact, that’s a good thing; just as it’s important to stimulate babies, it’s also important to let them rest and absorb their new experiences. Lying on me while I work is all Harley needs right now. Even though I feel like I’m distracted and not doing as much as I should/could, I am also doing a lot of work. It just happens at different points in the day. My brainstorming might happen at 2am while I’m nursing Harley, and that’s okay. I have to take breaks from work to change her or nurse her, but that doesn’t mean I’m slacking off, I’m just working at a different pace. The quality of my work is still high, and I still get things done even if I feel like I could do more. Realistically, I’ve always held myself to a high standard and always imagined that I could do more. No, I might not work in the same way that I used to, but that doesn’t mean that I’m failing. I also need to realize that people accept that I’m a mom and that things are different. I took Harley with me to a couple meetings so far, and everyone has been so supportive of it. I even took her to an event this weekend and it was totally fine. I think the fact that I’m so matter-of-fact about bringing her along makes people also more relaxed about it. It’s not like I’m playing with Harley during the meetings; for the most part, she just sleeps in her pram. But, if she starts to cry and needs me, I’m there to sort her out, and I can do it while still continuing a meeting. We’ll see if all my meetings go so well with her in tow, but it seems like a workable solution – I’m so glad that it’s gone as planned so far! Being a Work at Home Mom really isn’t easy, but I think I’m getting the hang of it. I work hard when Harley is napping, and I can usually put aside all distractions and get a bunch done. Even when she’s awake, I’ve learned to literally balance her and work by adopting strange positions at my desk that allow me to nurse/cuddle her and still type or interact at the same time. It will all be a lot easier when she’s old enough to go to play group in the morning, but I’m not even going to consider that until she’s able to communicate so I know if there’s a problem. 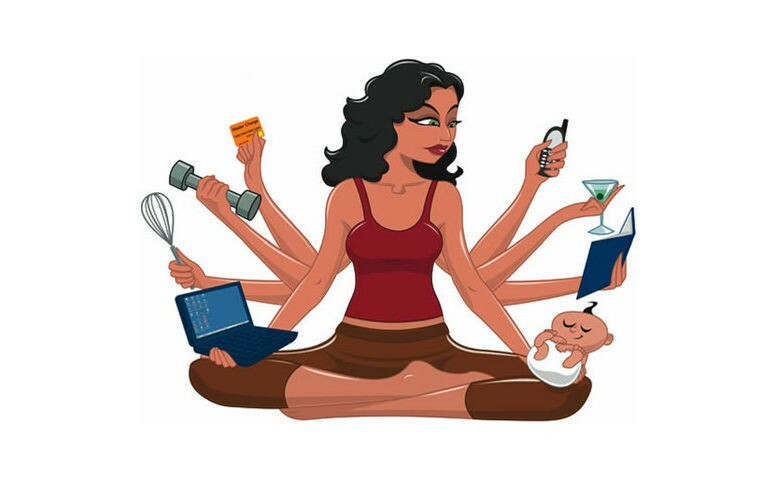 So, for the next year or two this will be how I work and mother during the day – I think I can make this work for me.